Letter vs. Card Appeal – Which is Best for Fundraising? As much as we wish warm weather would stick around, summer is winding down, vacations have been taken, and a new school year is about to begin. 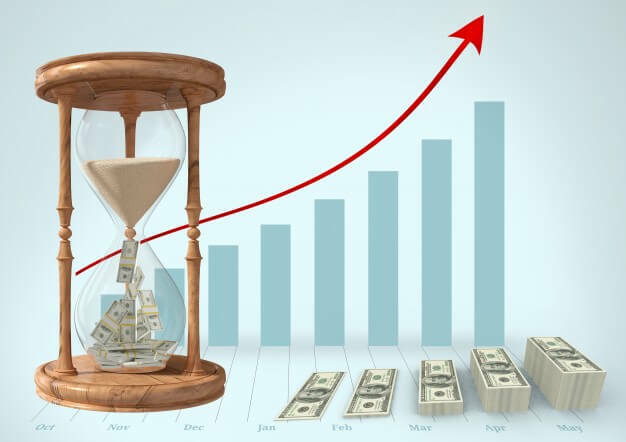 If you’re involved in fundraising for a nonprofit, you’re probably looking ahead to the next few months as you prepare fundraising campaigns to meet end of the year deadlines. Nearly 1/3 of annual giving happens in the holiday month of December. A year-end appeal is critical for achieving fundraising goals. It’s never too early to plan your holiday fundraising strategy. One of the most basic questions to ask is, what format should I be using? Fundraising at its core is like any other marketing effort, in that it relies upon making a connection with your donors. Since 70% of Americans find direct mail communication more personal than digital forms of communication, a personalized mailer is an obvious choice for achieving maximum donor impact. Millennials like direct mail too, with over 90% considering it a reliable source of information. You can be sure a direct mail appeal will allow you to reach a wide audience. Printing has evolved considerably over the last few years, giving you many format and personalization options. Two of the most popular forms of direct mail fundraisers are appeal letters and greeting cards. Which one should you use for your campaign? Though the days of hand-writing detailed, personal letters to communicate with personal and professional contacts is long gone, there are still times when sending letters can be effective. One of those occasions is when sending direct mail nonprofit appeals. Letters are still viewed as a personal form of communication. They offer a chance to speak to your donors in a candid and enthusiastic way. Appeal letters are most effective for continuing your relationship with established donors. Since they have given previously to your organization, they are more likely to read an appeal letter. They have shown their interest in your nonprofit and made an investment. Now, they’ll want to learn about the developments you’ve made and the goals you plan to achieve with their contribution. Your best audience for an appeal letter is the group who you expect will make a contribution, likely a significant one. Regular donors can usually be counted upon to give the same amount from year to year. They are also more likely to increase their gift than to decrease it. Giving this group a more extensive explanation of your campaign provides them with information upfront that would impact their decision to donate and shows the value of continuing to support your cause. A minimum mailing includes an envelope and letter. But you can include other pieces of content to contribute to your campaign success. 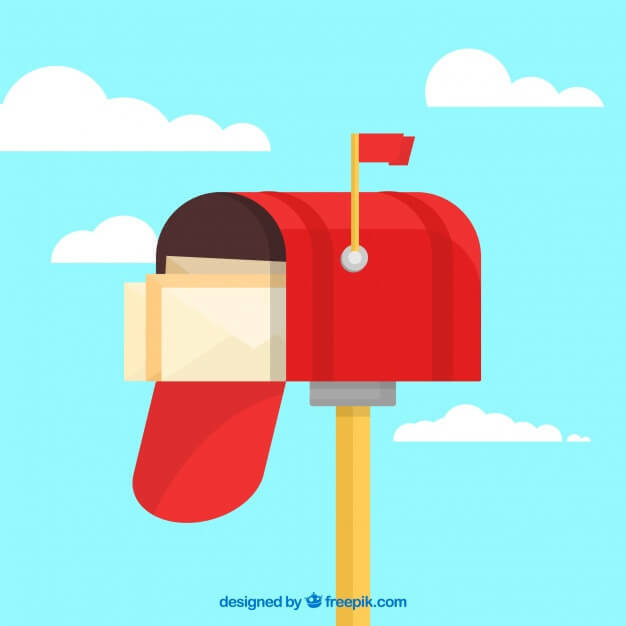 The letter can guide your donors through the rest of the mail piece, which could include images, a pamphlet or brochure, remittance envelope or a reply card with a return envelope. You’ll want to tailor your content to what your donor base expects and has worked well in the past, what they would find most useful, and what makes it easy for donors to give. Personalizing any part of the mailing with each donor’s name and address is easily done with today’s print technology. Your donors, especially your consistently loyal donors, enjoy hearing from you throughout the year. There’s a reason these people support your organization. You represent a part of them that feels needed and appreciated at the same time. People love to help and support causes that are meaningful and close to them. Mid-October through December is the signature holiday fundraising season, accounting for more than 30% of annual charitable giving. However, 2-3 additional appeals throughout the year, (for example, one per quarter), increase your ability to stay top-of-mind with your donors and reach your annual fundraising goals. 70% of people believe they receive too many emails. But when it comes to direct mail donor correspondence, including appeals for virtually every touch, you cannot mail too often. A personalized appeal letter is an effective fundraising tool. But it’s not the only format for a direct mail appeal campaign. A greeting card style appeal can be effective by triggering more visual cues when compared to a letter. Greeting cards allow you to connect with donors by reminding them of your organization while emphasizing the importance of each donor’s individual impact in a more visual way. While an appeal letter can include visuals, an image is a main component of a greeting card, and the first element a donor will see. Choosing a strong visual will grab the reader’s attention immediately. Recipients are going to spend time looking at it. If the image sticks in their mind, your organization will also be remembered. A card is also a great place to feature images of or artwork created by individuals who benefit from your organization’s services. As with letter mailings, today’s digital printing technology allows a greeting card style mailing to be personalized as well – from a salutation to start the message, to variable text in key messaging locations, and even using variable imaging. Often, 80% of donations come from 20% of the donors – your major donors. Crafting a card, hand writing a short sentence or two, and signing your name can go a long way towards making a positive impression on your donors. You could have your staff all sign the card. Or send it from an individual rather than the organization to add even more of a personal touch. Sending a more personal card to fewer donors can have more of an impact than sending to a larger audience. Greeting cards can cost less to produce than an appeal letter depending on the project specifications. Because they can be personalized for each individual, you can use them to connect with a donor who is at any stage in the giving process. A generous message thanking a lead who has shown interest in your organization but hasn’t yet given could be just what is needed to ensure a gift is made. And it never hurts to thank those who have given for the difference they’ve been able to make. Engaged donors will read the more specific details and story of an appeal letter. Greeting cards may more readily grab the interest of a donor who’s scanning the mail piece. Again, no one format is necessarily the most read for any given donor, so it is worth experimenting with different methods. Many nonprofits send holiday cards, and it’s likely your donors will receive more than one this holiday season. The month of December is the most popular time to send holiday cards. Try sending a card during the Thanksgiving or New Year’s period to make your message stand out. You could even send a card during a different time of year, like Valentine’s Day, when nonprofits aren’t regularly mailing cards. So which is more effective, a letter or a greeting card appeal mailing? As with all marketing and fundraising efforts, it depends, and there is no silver bullet. There’s more than one way to tell your story. Both formats possess their respective strengths for making a connection with donors. What IS recommended is experimenting with nuances on each campaign to build your own database of knowledge and measuring results. Your best choice may be to mix it up and try both, measure and compare the results, and use the newfound data to plan future campaigns. If you’re looking to incorporate direct mail pieces as a way to enhance your fundraising strategy, contact Paw Print & Mail today. Author PPB-AdminPosted on August 30, 2017 June 5, 2018 Categories Direct Mail Marketing, Marketing Strategy, Nonprofit Marketing & Fundraising, PrintingTags Direct Mail Strategy, Fundraising Campaign, Fundraising Strategy, Lead Generation1 Comment on Letter vs. Card Appeal – Which is Best for Fundraising? As a business owner or manager, you have a lot on your plate. Every day, you have multiple people and projects competing for your attention. You have to ensure customer and employee satisfaction, generate new business, fulfill client needs, and consider potential business and marketing ventures. From the small details to the major decisions, you have a hand in each and every part of what makes your company run smoothly. An essential piece of marketing your business that you’ll want to consider is creating brand awareness. In addition to ensuring customers know your company exists and the kinds of services and products you offer, brand awareness also includes consciousness about who your company is beyond the basics. The image your business portrays includes the quality of your services, the way you handle customer inquiries, and your company’s personality. Are you a start-up technology company focused on youth and innovation? An established construction business proud of time-tested methods and your connection to the community? Or something in between? Owning or managing a business comes with a plethora of responsibilities and considerations. When you think about incorporating brand awareness on top of all the things your company has to consider on a daily, weekly, and monthly basis, it can seem overwhelming, right? The impression you develop for your business can go a long way toward helping you to build a customer base and make a lasting connection with clients. And it’s easier than you may think to bring an effective brand awareness strategy to your business. Making an impression is all about perception, and a proven way to improve the perception of your business is to incorporate branded apparel into your marketing strategy. Branded apparel is a cost-effective and relatively inexpensive way to increase brand awareness. While other forms of marketing are certainly necessary and successful, investing in branded apparel for your employees usually requires less of a financial investment than many of these strategies. And, the long-term impact of branded apparel is big. It will be repeatedly seen by customers and the general public and continuously deliver you a return on investment. Though it is relatively inexpensive, branded apparel can make a big impact. One of the strengths of branded apparel is its possibility to alter your relationships with customers, both current and potential. It may seem like a relatively small change putting your logo on a shirt, coat, or hat. But having your employees wear these items becomes part of the personality of your company. In the minds of customers, branded corporate apparel is often associated with businesses that are well-established, large, and successful. So, even if your company is relatively new to the marketplace, you can use branded apparel to convey to your intended audience that you are a professional in your field and have extensive knowledge of the products and services you offer. Your customers will have more confidence in choosing to purchase from your company. They’ll feel that they are working with capable employees who are experts in their field. When your employees wear branded apparel, they are acting as brand ambassadors for your company. And when customers see employees wearing clothing with your company logo, not only does it give the employees a sense of authority. It also conveys to the customer that the employees are proud of the company they work for and confident representatives of the product or service their company provides. If your employees consistently provide positive service for your customers, seeing the logo repeatedly on employee clothing is a reminder to customers that your company is reliable and has been good to them, making them more likely to continue to work with your business in the future. Customers also equate branded products with quality. They view a branded item as superior to an equal, unbranded product. Including your logo on employee clothing works from this idea. It gives customers the impression that your business provides high-quality products, services, and customer care. If you want your company to embody words like these, consider investing in branded apparel to increase the success of your brand awareness. Contact Paw Print & Mail today and inquire about our branded apparel services to find the perfect fit for your business.